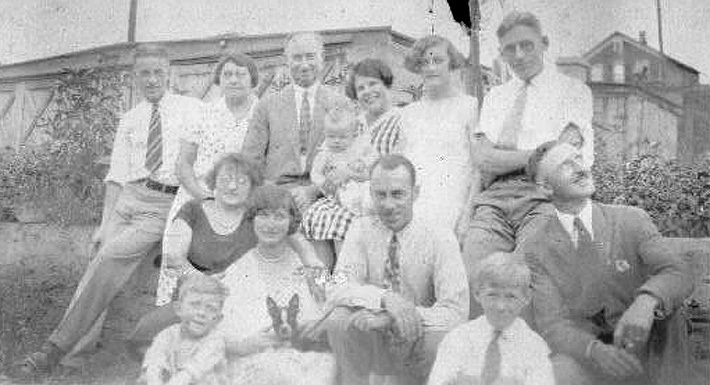 (back row) Karl Kincel, Mary Chakey Kincel, Stephen Chakey, Flavia Vachereau Chakey holding Virginia, Helen Kincel, Steve Kincel. 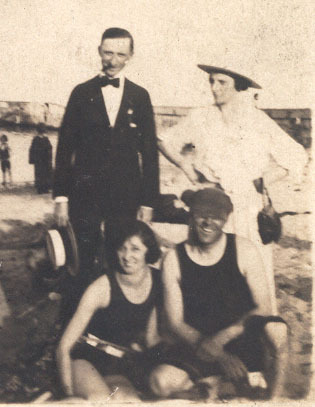 (front row) Edward Kincel, Unknown woman, Vera Chakey Allen, Jack Allen, Emil Kincel, unknown man. 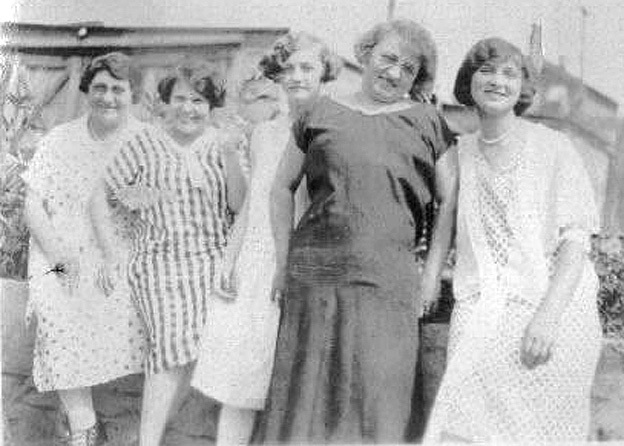 Mary Chakey Kincel, Flavia Vachereau Chakey, Helen Kincel, unknown woman, Vee Chakey Allen. 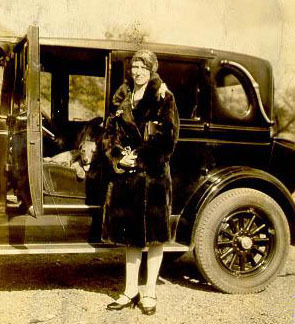 Anna Chakey Fernzie with Stutz Bearcat and wolfhound. 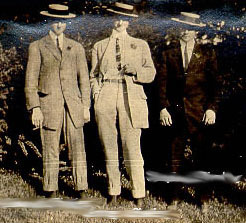 This picture was taken some time in the early 1920s. 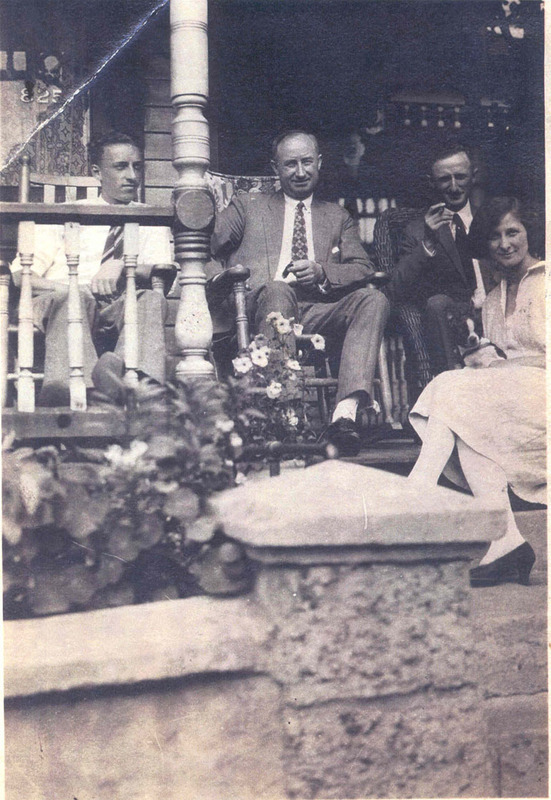 From left, Edward, Stephen, George and Vee on the porch at 815 Alder Street, Scranton, PA.
Stephen Chakey with his nephew Karl Kincel in the background. 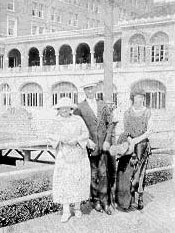 Mary with George and his wife Peggy. George and Peggy Chakey, Vee and unknown man. 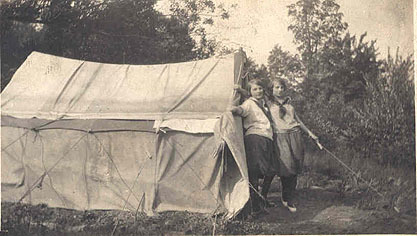 Two camping girls. I'm not even sure they are Chakeys or Kincels but the picture was in with the Chakeys. Anyone know them? 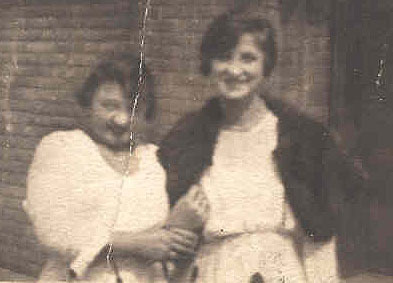 Here's another one of Vee and a lady I'd love to identify. See Chakey ladies picture. 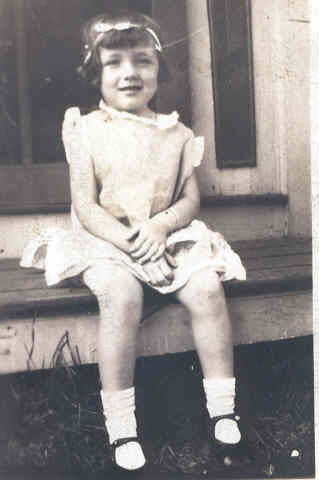 To see more photographs of the Chakey Family. 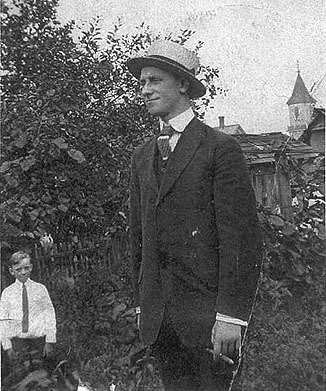 To return to first page of photographs of the Chakey Family. To return to the Kincel-Christian home page.